Broad Humanitarian Response Plan (HRP) launched to address the deteriorating human rights and humanitarian situation in Libya. As recent footage of tortured Sudanese nationals illustrate, refugees and migrants are especially vulnerable and exposed to abuse. Return operations for vulnerable migrants are running while resettlement efforts to Europe remain modest. The 2018 HRP, introduced on 25 January 2018 is aims to cover the needs of 940,000 people out of an estimated 1.1 million in need of life-saving humanitarian assistance and protection across Libya, including Libyans internally displaced , non-displaced, returnees, refugees and migrants. The HRP has three core strategic objectives, protecting people’s rights in accordance with international humanitarian law and international human rights law, supporting access to basic services, and strengthening the humanitarian response by increasing accountability and capacity. The HRP takes a multi-sectoral approach and links to the humanitarian evacuation, returns and migrant and refugee response plan, making reference also to protection monitoring. In their annual world report, Human Rights Watch diagnoses a state of chaos and impunity. With an internal displacement crisis developing in parallel, the situation for refugees and migrants in Libya gets pointed out as devastating, where human rights violations by militias, smugglers and staff of official and unofficial detention centres are continuously reported. 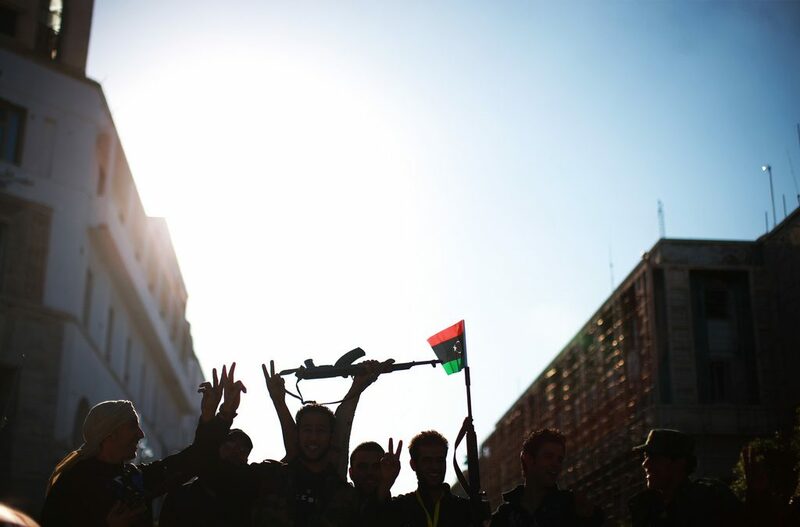 The findings match to the latest reports of forces operating under the Libyan Ministry of Interior have freed a group of kidnapped Sudanese refugees or migrants, whose relatives had been confronted with ransom demands, following the circulation of torture videos on social media. Extensive efforts are taking place under the Task force of the African Union (AU), European Union (EU) and United Nations (UN) to return migrants to their countries of origin through the emergency voluntary humanitarian return (VHR) with the assistance of IOM. A total of 19,370 persons were returned by December 2017, with the commitment to return another 15,000 by February 2018. 1,747 people have been returned in January 2018 alone In addition, 523 refugees have been evacuated out of Libya by January 2018 through the Emergency Transit Mechanism by UNHCR, most of which to Niger waiting for onward resettlement, and 162 vulnerable refugees directly to Italy. Only 25 refugees have been resettled from Niger to France, while UNHCR has urgently asked states for 1,300 places by end March. “1,300 resettlement places will not end the problems in Libya but it is disturbing to see that even getting those most vulnerable to safety is a problem for European states. We are close to the March deadline, and so far only France has taken 25 refugees. European states must use their pledges to receive these vulnerable people waiting in Niger,” says Aspasia Papadopoulou, ECRE Senior Policy Officer.